My body is still adjusting to Kuwait. My body clock seems to have cracked it. On a week day I seem to naturally wake up around 4.45, just time to put on my trainers before my run.Then on my weekend,(the day I don't do my long run) I sleep-in for an extra two hours.Sorted. But, now that I am getting into the groove of things, I keep thinking I am getting sick. My eyes are all puffy and my throat is scratchy and tight. Damn the dust. It comes in through the a/c and covers every surface in the flat. When I run I get a fuzzy nose, all the dust filtering through.Nice. It is not even that dusty yet. Some nights I wake up thinking, 'I'm sick, I'm sick'-but no, I'm not...my body is just adjusting to all the dust. Although, today, I really am sick...and I am playing tennis later. Rubbish. My beautiful yoga teacher from Uganda was in touch recently. She did a few breathing workshops here in Kuwait in the past and was complaining about the air, asking how I find it. The false air in the hotels, the cafes, the cars, the school buildings. Like I said, my body is readjusting. It isn't nice. My skin is cracking round my mouth and peeling at my forehead. I need to get some thicker moisturiser. Yep-this is life in the sandpit. On the upside. The polluted air and dust does make the sunrises and sunsets quite pretty. Oh my gosh! Where I have been? You're in Kuwait now! Sounds like the adjustment is rather rough, to say the least. Hi Robyn, I find that new places, especially those that are dusty trigger my asthma (which is normally quite well behaved!) takes me a couple of days to get my head and lungs around the new environment! I can't wait to read more about your adventures in Kuwait! That is gorgeous! Is Kuwait as pretty as it sounds? I was seated next to a soldier on a plane this week and he was stationed in Kuwait a couple months ago. He said its a beautiful place. I don't know what I'd do there, I'm extremely allergic to dust! I hope you feel better soon! P.S. Love the new blog header! kuwait? beautiful. no Larissa-I wouldn't use that adjective and surprised if a soldier did. Interesting, different- yes. 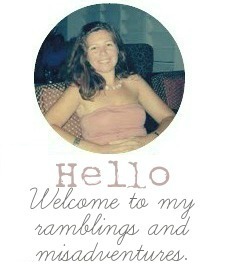 Thank you -glad you like the blog's new look! Wow, Kuwait! That must be a drastic change and I can imagine that there would be a ton of things to adjust to.